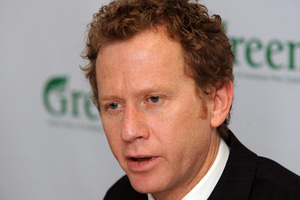 Green Party co-leader Russel Norman said the back-dating system was 'unfortunate'. The Taxpayers Union is outraged that MPs ousted in the September election will still get a handsome pay packet in October as their salary increases are backdated. ... Taxpayers Union spokesman Jordan Williams said this showed politicians' pay was disconnected from economic reality. "A post-election bonus is just outrageous," he said. "By doing it that way, they're effectively ruling out pay decreases. If they take [pay] down, what are they going to do? Send each MP a bill? It shows it's a farce." The union advocates tying politicians' pay to the country's economic fortune, measured by the gross domestic product. Read more.